Not really a question on the use of the Importer... But does concern the Importer as in the way of tech support. I got the Importer when it was free. Recently found out it's been debugged and a more recent version has been released. Do I just go download it again or do I have to buy it this time (which I can't hence why I jumped on it when it was free). I like to keep my poser goodies up to date as much as possible and daz keeps changing things up that I never know what to do anymore except ask someone who might know. Just reset it in your Itemized Order History, no need to buy it again. I'm having this same problem. Were you able to figure it out? I'm still reading this forum thread so I apologize if I haven't seen the answer yet. Random crashes during preview updates to a previously saved scene. If the scene hasn't been saved the same updates don't crash it. Is this error message meaningful at all? Well, looks like I solved my own dilemma .... 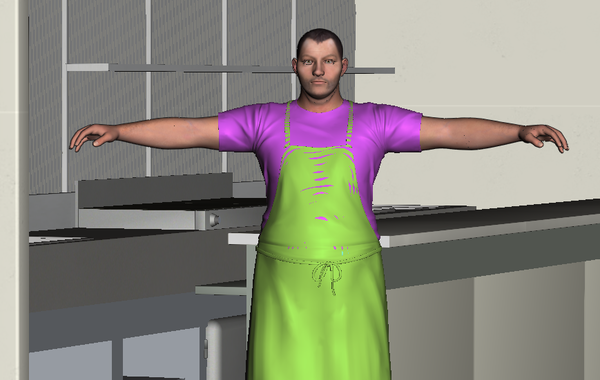 I think the DSON Poser settings need to be tweaked some more. ESP for things like Specular Strength (Poser = Value), Specular Glossiness (Poser = Size) and Bump (and probably Displacement too!). I spent $75 to buy the M5/V5 combo bundle, in the hopes of getting everything that makes a person a person ;). The first question that pops up out of this is: what UV-mapping do the Poserized versions use? gen 4, gen 5, or something else entirely? Before I loaded the new ones, the Starter Essentials seemed to work with gen 4 maps. After Installing, I tried loading a gen 4 map and it was only 'close,' not 'right' - so I tried "James for M5" and got nostrils on top of his nose and lips for a mustache. The only maps that seem to work are M5 "Phillip" and V5 "Bree" that come with the set. Only Bree has no genital map at all; the "Anatomy" folder in "Materials" only contains hairy and shaved Phillips. And the scaling of the genital figures doesn't appear to work with the scaling of the figure, even using "Transfer Active Morphs." I realize that any new technology has bugs, but come on ... this is something that anyone should've tested first! I can see why the importer is free - otherwise, I can see a lot of people asking for their $25 back. In the meantime, the M5/V5 combo bundle is wayyy overpriced @ $75 if all the buyer gets is Barbie and Ken, and even our existing character sets, or ones labeled as this same generation, can't be used on the figures. It's free and works on genesis in poser. click on the uv you want to use, genesis will go black apply the texture you want and it will work. Does anyone know if Daz is going to create the .duf files for some of the PC items that have been released recently? I was thinking about getting the cook and waitress items and the other PC items for the 50s now and just wait for the Poser files to be created. I would rather wait for the files than install DS. But if there are no plans to get the PC items converted, then I will skip getting the bundles and just buy the add-on Diner items. Any ideas or thoughts on the matter? They said they were, not sure why the new items aren't coming out that way already unless of course they had them ready to go before they knew DSON was ready to launch. They'll likely get to things, eventually. Purchasedf dave for M5/Genesis. How does one get this texture into the Genesis figure via DSOn and into poser? Pardon me. I'm coming into this a bit late and just now trying to update to the DSON versions of content I've purchased in the past, for use with the DSON Importer for Poser. Perhaps I'm being obtuse and I'm sorry if this has been asked and answered already but I'm a little confused by the fact that some products have one, two or three files to download to make them compatible with Studio, Poser , and the DSON Importer. I have been looking for answers to my questions in the DSON literature and the forum threads but I'm just not seeing it. This could be because I'm stressed out by other things at the moment and my patience is on a short fuse. Why do some products come with three separate files for use with Studio, Poser, and the DSON Importer, and what specifically is the purpose of each file? 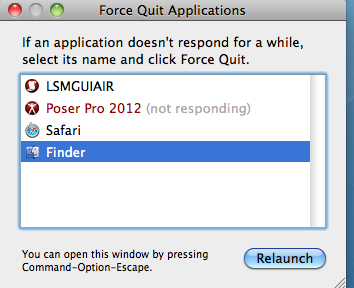 If I'm using both Studio and Poser do I want to install all three files? What specifically is the purpose of the "Legacy" file? Thank you RAMWolff and Kerya. Questions answered. You don't need the Poser Companion Files. The other DAZ files are the files DS uses now. DSON is actually DS 4.5's new file format. 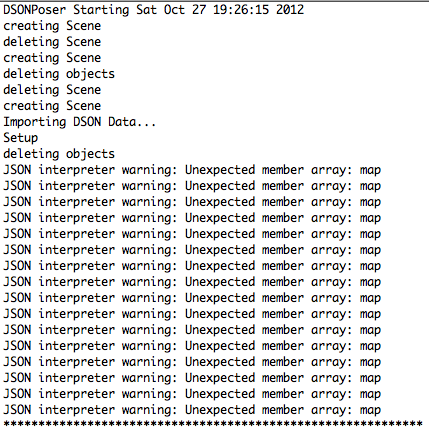 The Importer just allows Poser to use them too. DAZ... You've pretty much got me back. I didn't really "leave" I just couldn't use your newer stuff until now. 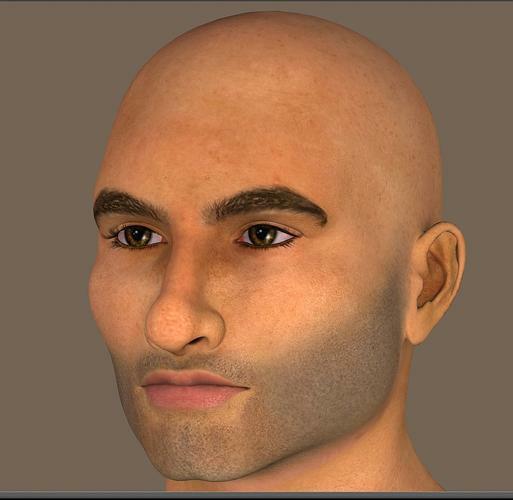 I'm halfway through a render in poser pro 2012. This was very painless. I'm quite impressed, actually. Thank you, and I hope to enjoy V5. I really like Genesis' shoulders. Especially the front, where the delt area fades into the pectoral area (for females). That area is quite the improvement on V4, which wasn't bad to begin with. Again thanks! Is there any sort of smoothing modifier script that is supposed to be part of the Poser DSON scripting that I'm missing? When Genesis clothing is autofit in Poser, the clothes get crunched/mangled around the breasts and crotch area. This doesn't happen in D|S because most of the time the smoothing modifier is set to 10+. 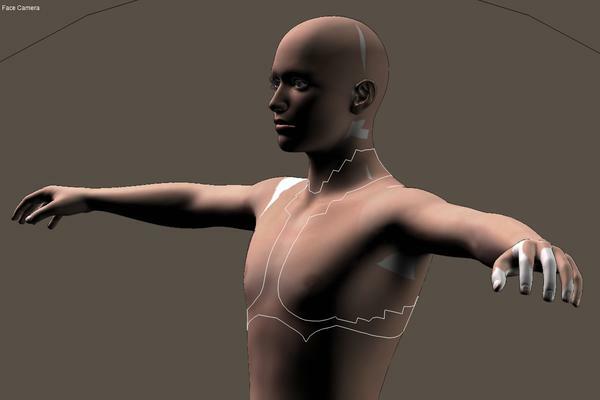 To my knoweledge there is no autofit in Poser. You have to conform the clothing item to Genesis, and then go to the python menu to the DSON importer and then pick the transfer active morphs. That's what I'm talking about. Sorry. That wasn't clear. Once the morphs are transferred in Poser, the mesh looked crumpled pretty much the same as in DS4.5Pro without the smoothing modifier on. I'm curious to know if there is supposed to be some sort of DSON script to add a smoothing modifier to Genesis clothing after running the "transfer active morphs" script. Are these Genesis clothes, or clothes for other characters? It's mainly an issue with skirts around the crotch area. Also, sometimes it happens around the lower bust area. It doesn't happen on plain ole gray Genesis. It's on morphed Genesis (with morphs transferred to the clothing). Two examples of gene pool morphs where this happens: Aiko 3 and the Basic Child. It happens on all of the women in particular but it's very obvious on those two. Textures sometimes obscure the problem. The skirt has to be longer than a short miniskirt to see it. Again, it's not an issue in DS because of the smoothing modifier. Once you've got your pose picked and your clothing transferred and all, you might be able to use the morph brush to smooth things. I've had some luck with it, I suspect my lack of regular luck comes from a lack of regular use. Turn subdivision off while posing, saving, etc., and only turn it back on for rendering. From what I've read, that should solve the slowness problem. I have heard others have a lot of slow down, but I've not noticed a lot of slow down. 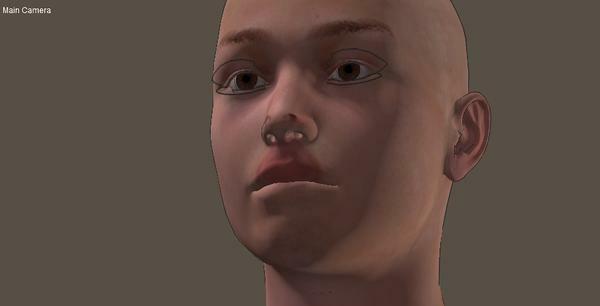 Slow DSONed Genesis in Poser?